Size: 5½ x 8½ in. The formation of Kinngait Studios in the late 1950s laid the groundwork for a legendary printmaking tradition. 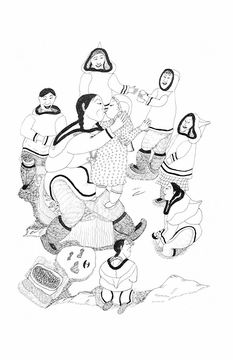 About 1,200 miles north of Toronto, the hamlet of Cape Dorset, Nunavut, is home to a multigenerational community of gifted graphic artists. 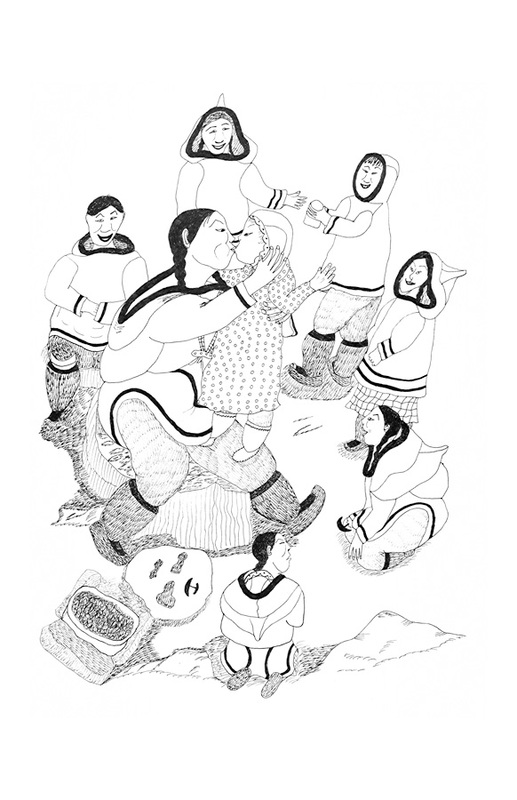 Their cooperatively owned printmaking studios have been in continual operation since 1959, producing unique, captivating, and powerful images based on drawings of traditional and modern Inuit life. 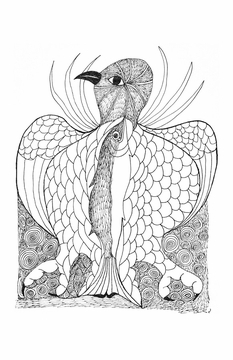 The artists of Cape Dorset are active in the studios from fall through late spring. Diverse media are available to the printmakers—etching and aquatint, woodcut, and copper engraving—but their mainstays are stonecut, stencil, and lithography. When the print editions are finished and the fine summer weather arrives, many of the artists leave the community to return to the land and their traditional camps. The Inuit are determined to retain important elements of their culture—their language and stories, their connection to the Arctic and its resources—while adapting to modern ways. The daughter of Pitseolak Ashoona, one of Inuit art’s most important figures, Napachie Pootoogook embraced the cultural and artistic heritage of her family. She began drawing in the 1950s, and her work was included in most of the annual collections of Cape Dorset prints until her death. 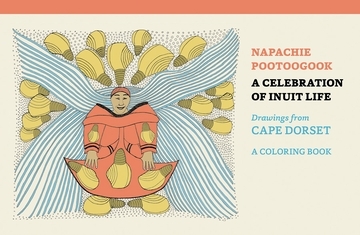 Her early works often reflect Inuit beliefs in the spirit world, but her later works, such as the drawings in this coloring book, bring to life traditional Inuit practices, clothing, and history in her flowing, energetic style.